Mazatlan is a city with a 500-year history that combines the Totorames Indians, the Spanish and the current Mexican residents. Add German, French and Filipino influence over the years, and you have idyllic setting looking west to the Pacific with some real cultural zip. 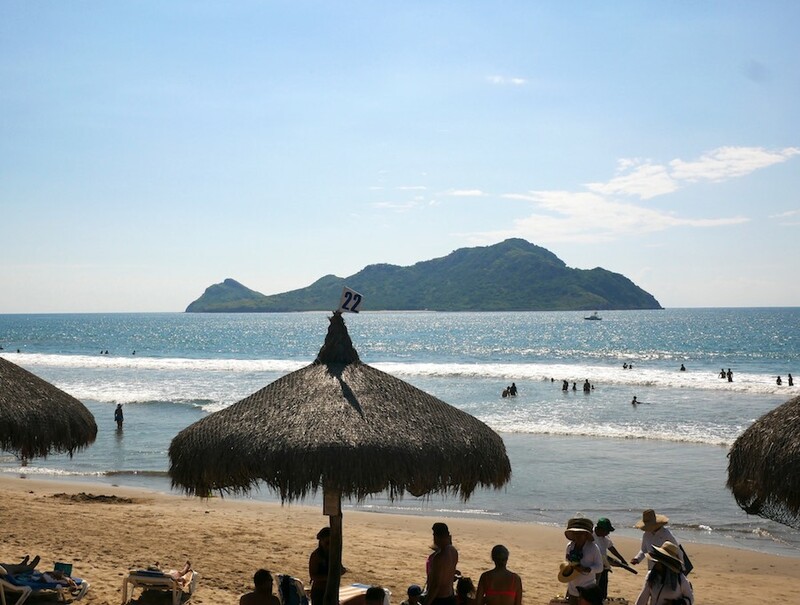 Billed as the “colonial city on the beach,” Mazatlan was first named as the “place of deer.” Like most of their historical roots, that place-connection continues with their local baseball team, the “Venados,” or Deer. Mazatlan is unique in they embrace this rich historical path in just about everything they do. At the same latitude as Los Cabos, the Tropic of Cancer, Mazatlan boasts misty sunrises and stunning sunsets. The beach and the boardwalk are incredibly long, with the Malecon’ (boardwalk) stretching almost five miles. Mazatlan is really split into zones that run north to south along the beach corridor. The “Golden Zone” is where most of the hotels and resorts are parked to be in proximity to the beach. Head south about 15 minutes in a Pulmonia, or local open air taxi, and you are in the historic district, where a concerted effort leads to keeping older buildings and streets from the 1860s. And, many dissidents and philosophers hung out in this district from the 1950s to 1970s marked by placards on the historic buildings. A great place to re-charge your life purpose over tapas and tequila. Mazatlan is more about exploring here and there rather than posh luxury at a resort. 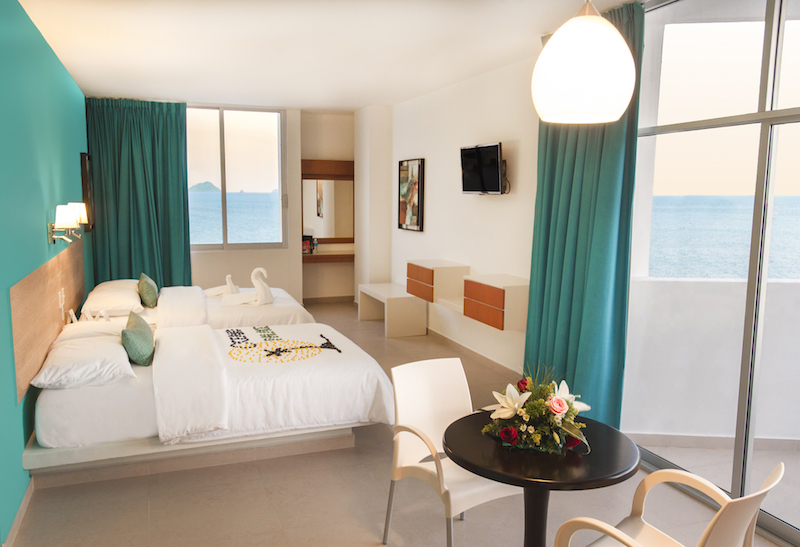 Whether it’s golf, sports fishing, cultural tours or chomping at the latest trendy restaurant, Mazatlan is a place where the hotel is really a resting and launch point. So, unless being a beach mango is the only plan for the trip, get the bedding option that is closest to your level of luxury and style. You will likely be out and about for most of the day. If you want a resort where four hotels are connected and allow you to roam the options, then El Cid is an ideal stop. Two properties, which are more adult-oriented, the Marina and the El Moro offer a quiet environment. Disney-like activities permeate the El Castilla Beach Hotel, while the Granada at the El Cid Golf and Country Club seems more like a quiet boutique hotel. All four offer European Plan all the way to Elite All-Inclusive. If it is relaxing, crash out and then go exploring the next day, then the Palace Resorts offer incredibly competitive rooms, with four properties in proximity to each other. The lack of distance allows you to share the beach, pools, and restaurants. Best described as European comfort and efficiency, the minimalist décor is comfortable, and most rooms offer refrigerators and some kitchen options. Easy walking distance to shopping, mini-marts, bars, and activities. Philosophizing in the historic district is a short walk with Casa Lucila. Small, with only eight rooms, the finish and service are impeccable in this boutique property. One restaurant, the Fernando Jazz Bar serves all three meals. 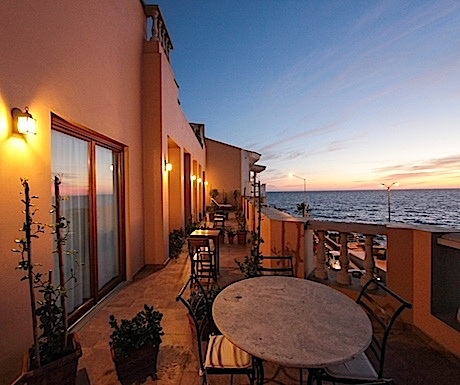 A great sunset view and departure point for anything along the Malecon. If golf is your primary goal, then the stellar option is Estrella Del Mar, about 15 minutes from the airport. This is a championship golf course that holds Latin America and Mexican PGA events nestled in a fabulous beach area. Lodging options include a hotel, condo, and home rentals. A little smaller than the big resorts, yet that leads to a bit more relaxation. And, as a sanctioned turtle sanctuary, the release of the hatched turtles will put you back on the trail of the caring planet. Dining and libation consumption may be where Mazatlan quietly shines. Most of the top chefs have been trained in Mexico City, so expect dishes with exciting spice combinations. Shrimp and Tuna are the big catches in Mazatlan, just about every eatery has a few specialties with these ocean delights. Don’t be afraid to go out and explore, the dining is reasonably priced and good quality because the Mazatlecos eat there too. Places not to miss include Pedro & Lolas in the historic district, named for two famous opera stars. Get a romantic setting overlooking one of the old town squares with Casa 46. The most interesting decor is at El Presidio, a combination of three former houses. 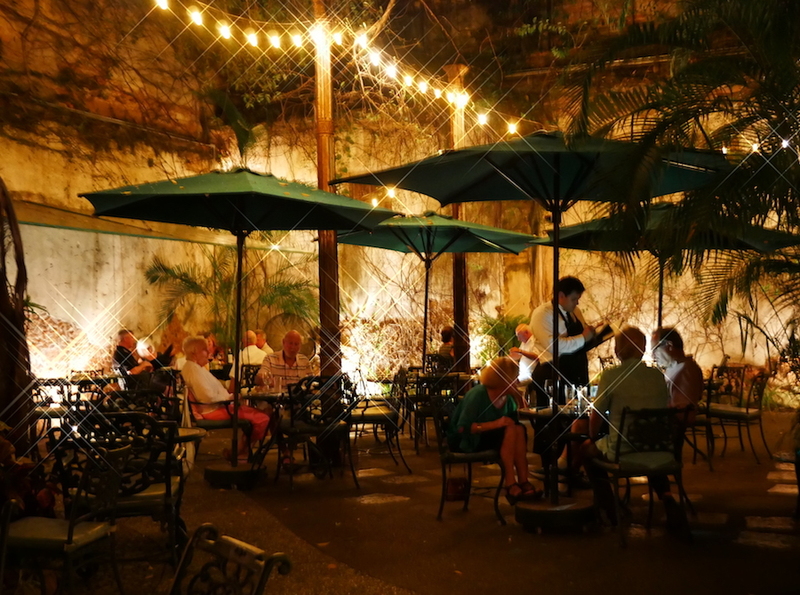 El Presidio is really indoor eatery park with stunning food to match the architectural exploration and restoration. Activities don’t need more than a little planning and work great on a morning whim. From water to land to sightseeing, Pronatours have something that helps break up one too many beach days. And, you get an excellent level of cultural significance from the experienced guides and drivers. The El Quelite excursion takes you to a quiet town that is a restored rural village. Tour an adobe bakery, then head to El Messon, possibly the best restaurant in Sinaloa. Ok, it really can’t be called Tequilla because it isn’t in one of the nine authorized states, but Los Osuna has won plenty of international awards for their Blue Agave. If modern marvels of engineering need to transport Humphrey Bogart in Treasure of the Sierra Madre, then the trip to Durango takes you over the hills and to the Baluarte Suspension Bridge, the highest in the Americas. 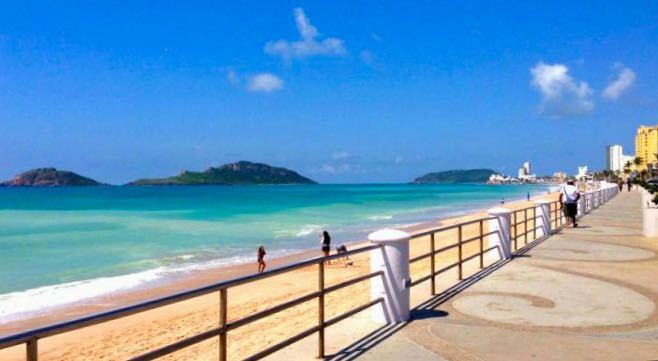 Mazatlan has a potent blend of culture and events within the city proper. 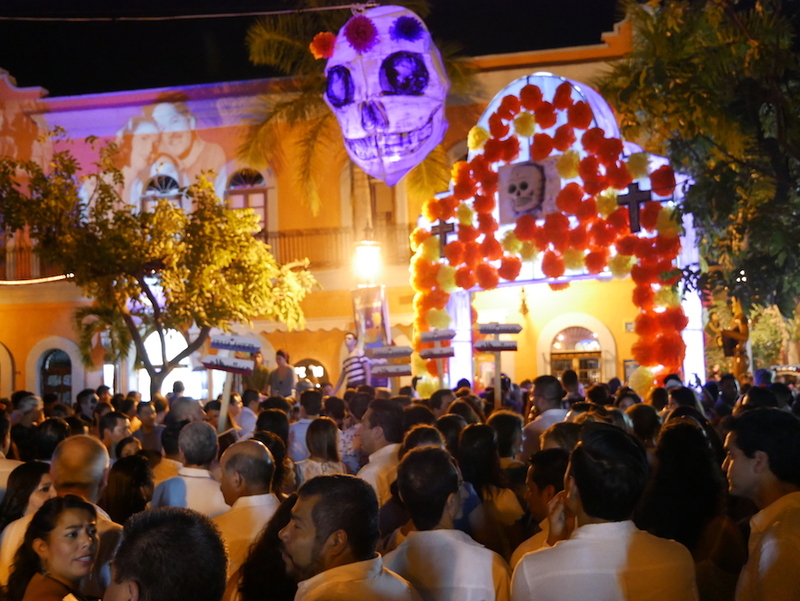 The Day of The Dead celebration really rocks the city with giant balloons, parades, fireworks and a procession. Maybe the best one in Mexico? Every year the local opera house puts on a unique program for this event, rotating through themes. And there are plenty of concerts, operas and like throughout the year that is easily accessible for visitors. In early February, the Carnival gets rockin’ with four days of parades, fireworks and street entertainment. The giant Monigotes, paper mache representations, are generally politicians fallen in disfavor. The Monigote suffers through fire at the end of the Carnival. The Naval fireworks re-enactment marks the French trying to take Mazatlan. Mazatlan is like a diverse smorgasbord you just experience rather than arduously plan. You can go there, have a minimal idea, and then just add a little of this, a taste of that for your ideal vacation staring into that Pacific sunset.